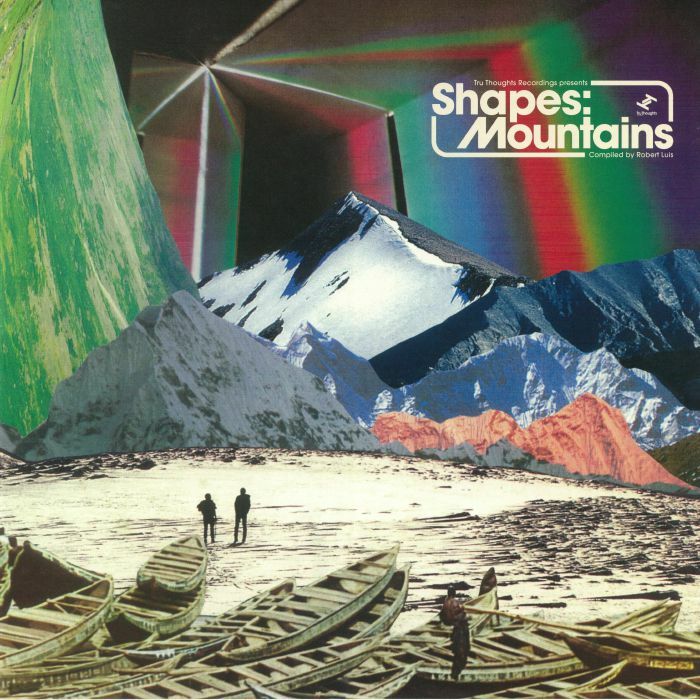 Robert LUIS/VARIOUS Shapes: Mountains vinyl at Juno Records. 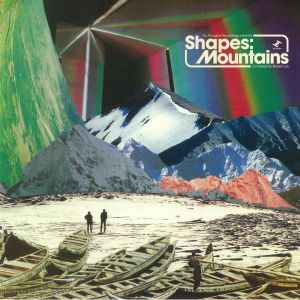 Brighton's Tru Thoughts present the latest edition in their compilation series Shapes: Mountains put together by co-owner and A&R Robert Luis. He has stated that he enjoys compiling the series because it gives him an opportunity to revisit everything the label has put out over the past years. Moreover, he is honoured to work with artists who are creatively passionate about the music they make. The compilation he presents here showcases an eclectic array of artists who choose to release music without compromise - and this is something that Tru Thoughts have been all about since day one. 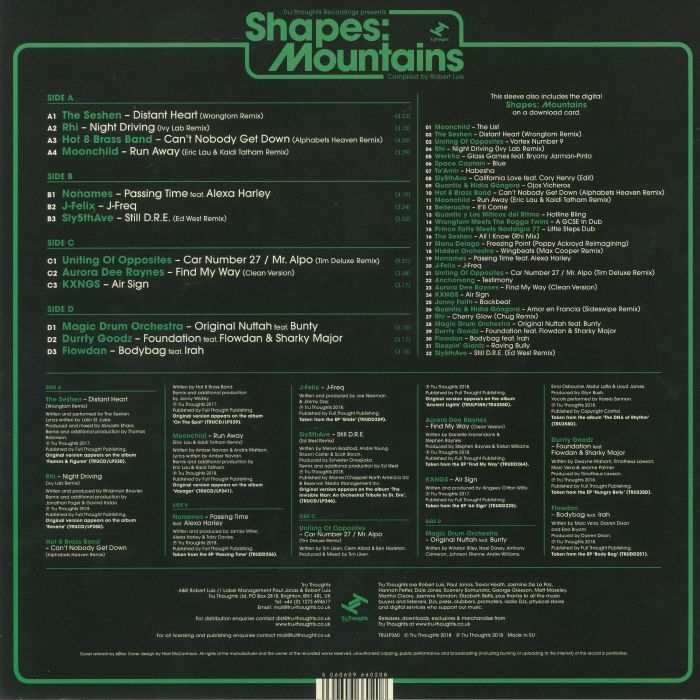 Highlights include: Eric Lau & Kaidi's sensual remix of Moonchild's "Run Away", the urban bass expressions of Sly5thAve's "Still DRE" (Ed West remix) right through to the deepness of veteran Tim Deluxe's exotic remix of Uniting Of Opposites "Car Number 27/Mr Alpo" and KXNGS with the powerful "Air Sign".